Disclosure: I was sent this book in exchange for an honest review as part of Multicultural Children's Book Day. All opinions are my own. Imagine being at the top of your world. You just one a competition in your dream activity and then on the way to the press conference a horrible accident occurs and you lose a limb so your dream activity seems impossible. That is how this story begins. It introduces us to Veda who danced before she even walked. She is a young Indian woman trying to figure out life and live her dream. And then in a horrible accident she loses one of her legs. There was no way of saving it. Will she be able to walk again? Will she ever be able to dance? 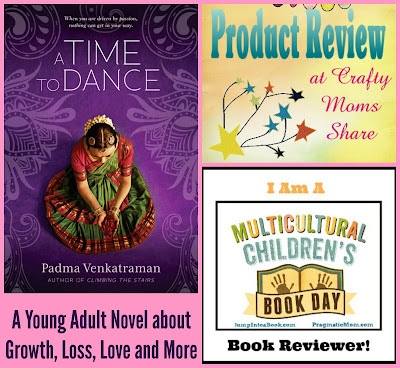 The book is A Time to Dance by Padma Venkatraman. 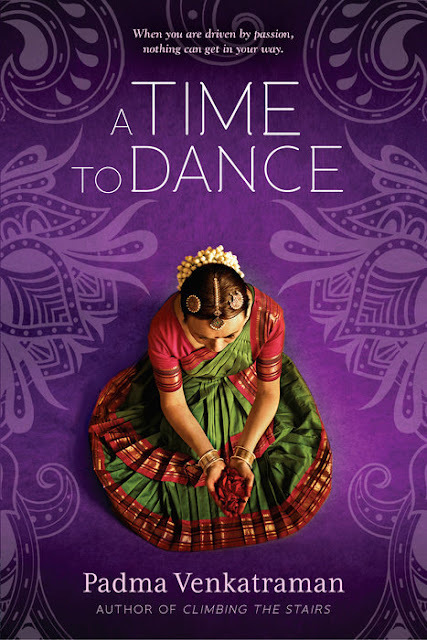 This novel introduces us to the culture of India. Teenager, Veda, is a Bharatanatyam dancer. Her religious believes in Shiva teach the reader a bit about Hinduism. 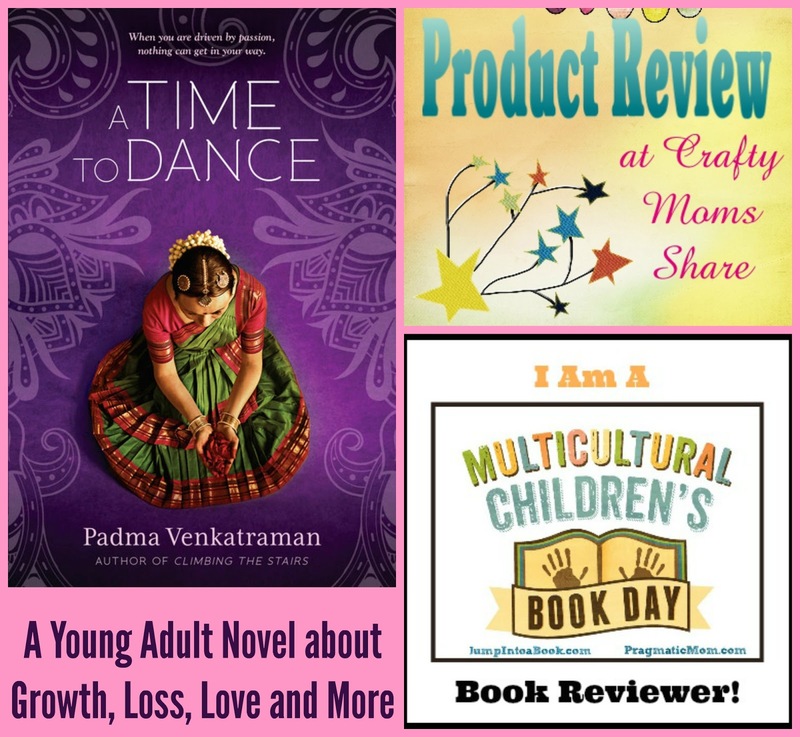 The story shares about the castes and living conditions of India, but it also shares a coming of age story about loss, love, forgiveness, and more. The book itself is written (and printed) in short sentences or a column that does not fill the page. It reminds me of poetry and perhaps is meant to emulate dance through words. I found it made it easy to read. The chapters are also short and allow you to read a chapter quickly which is great for the blogger who is too busy most of the time. The book draws the reader in and I found it fascinating. The look at a different life and yet seeing the similarities as well. The lessons Veda learns in the story are profound. They have a religious undertone, yet does not push a religion. It is more about finding a better place with oneself and faith. Plus it teaches a bit about Hinduism through the story for better understanding. It is an uplifting story although sad at times. There is a sense of finding one's way back to dreams and going further spiritually then one thought she could. I really enjoyed this book. I love the overall message that one gets through Veda's life. She struggles and hits rock bottom but recovers and still has complications, but learns that self confidence and strength can get her through them. I also love how the book shares a look into the Indian culture. It is another look compared to other books I have shared about India including Saraswati's Way. This book is a young adult novel, however I have no problem letting Hazel (age 10) read it now. I think its messages about self growth are important for her to learn and read and I think she will enjoy the story. It is not inappropriate for a tween.